The vicious cycle goes on and on through the entire life of the person. Trust me, no one has escaped from it and no one would escape ever. It's better to tell the truth and be fearless than hiding it long enough to sacrifice yourself every day. We come across many people who lie to us, to you, to anybody who comes into their life. Just imagine what you all feel when you catch hold of their lie. Now relate the same feeling when you get to know that you lied about something to someone. It feels bad, right? There is nothing as such an intensity of a lie, a lie is a lie whether it's a big lie or a small lie. When you lie to someone, you actually lie to yourself deep within. But being busy in other aspects of life, you never think about it until it weighs you down. But telling the truth eases your nerves and fills you with pride. Believe me, it's not easy for everybody to say the truth. It takes courage to speak out the truth still knowing the fact that it could hurt someone. That someone could be you yourself as well. Yes, telling the truth also involves being true to your own self first. A not so quintessential event happened in my life which I guess everybody faces at least once in their life. I failed in my third year of college during my Engineering course. I was both happy and sad. Happy because I was not alone. :D Sad because I lied to my parents that all was well and I am in final year now which I wasn't. :( That went on for quite a while, I was enjoying my life like anything. I got my fee refunded and bought new things for myself which I thought I longed for! After some time, I felt something eating me from inside. 'Seek the truth, know the truth, and stay free from the three worst enemies of your fate viz. guilt, fear and regret. Yes, it was same guilt, fear and regret slowly eating my mind body and soul. One day while having lunch, I came across a person on the street who was blind asking for help to cross the road. Courtesy sake, a person sitting on the opposite table got up and helped him crossing the road, only to find out that it was a prank played on him. His wallet was stolen. He cursed himself more than the person who acted blind for helping him. That incident opened my eyes as what a lie can do to you. He gave a price as money but I was giving a price of my life! After this incident, I went home, gathered some courage, and called my father telling him the entire truth. I faced the anger for which I was prepared but later on I slept that night peacefully! The thing which I was not able to do since a month. From that day onwards, I always stand besides the truth and only the truth. I learned something else as well that day. 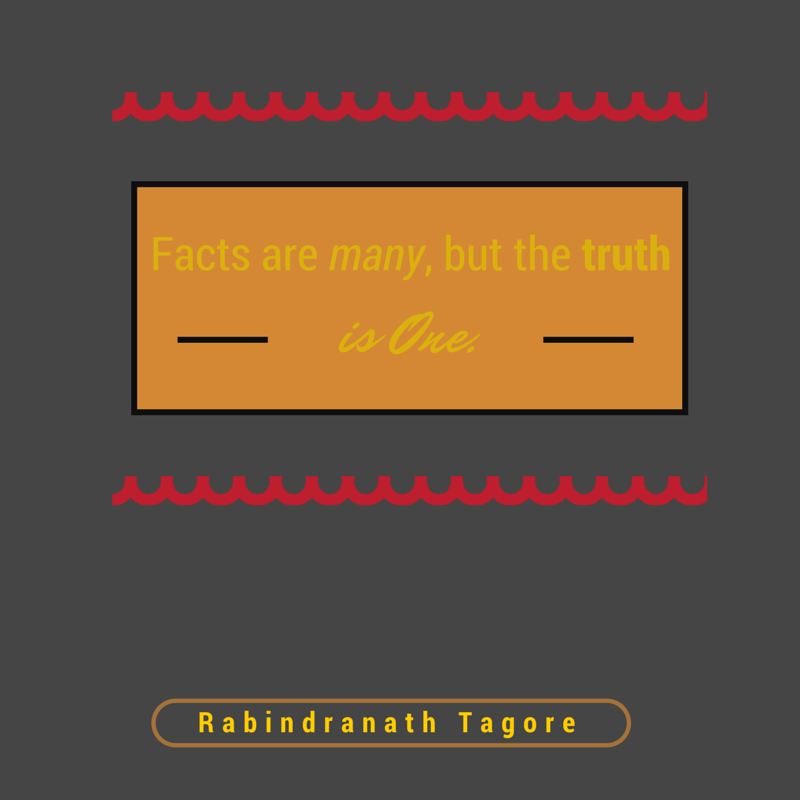 It is easy to adopt to the truth than living a lie! I have shared my part of the story. What's yours? I leave that to you. Do share in the comments section below!